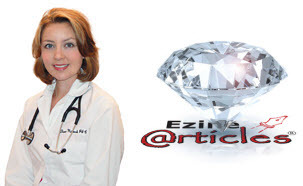 Dianna Malkowski, physician assistant, nutritionist and professional adviser for The CareGiver Partnership, recently was awarded Diamond Level Expert status for her work at EzineArticles.com. 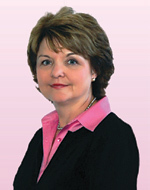 Malkowski earned the highest achievement given by EzineArticles.com by authoring more than 200 articles on #caregiving. Being named a Diamond Author is one of her 23 achievements as an Ezine contributor. Other notable badges include a Lavendar Ribbon for an article accepted in the Cancer category, and What’s Up Doc? for an article accepted in the Health & Fitness category. Having Dianna as part of our team is just one more way we offer our customers personalized service. Her years of clinical experience gives her unique insight into issues that affect seniors and caregivers, as well as into the impact of proper nutrition on health and healing. Malkowski, a board-certified physician assistant and nutritionist, specializes in diabetes, cancer, wound healing, therapeutic diets and nutrition support. She is a regular contributor to The CareGiver Partnership site, which includes more than 1,200 family caregiver resources, and to PRWeb in addition to Ezine. EzineArticles.com is a database of original articles by experts in their fields. Malkowski’s Ezine articles have been viewed more than 12,000 times. Visit her expert author page to read her recent articles, or view her achievements. Lynn Wilson founded The CareGiver Partnership based on her experience in caring for loved ones as well as providing the highest level of customer service. She takes pride in offering personalized service that helps her customers find the best solutions for their individual needs. Now that her children are grown, Lynn enjoys spending time with her granddaughter while also helping to care for her mom. To find out how The CareGiver Partnership can serve you, call 1-800-985-1353 M-F 9-4 CST.